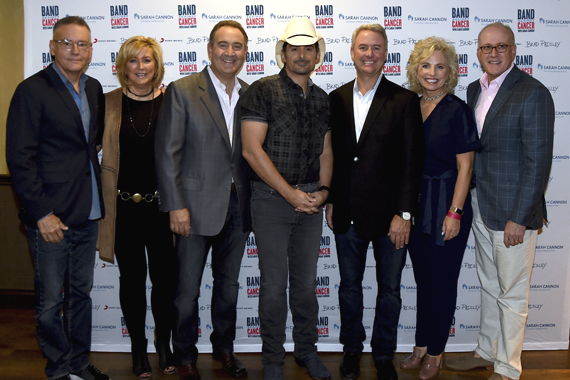 Grand Ole Opry member Brad Paisley headlined a very special Sunday Night Opry performance on Oct. 1 in support of Band Against Cancer with Sarah Cannon. Marking the organization’s second annual Grand Ole Opry event, the show also featured performances by Lauren Alaina, Bobby Bare, Chase Bryant, Tyler Farr, Mickey Guyton, Jeannie Seely, and new duo, The Sisterhood. The evening was part of Paisley’s ongoing role as lead ambassador for Band Against Cancer, for which he has teamed up with Sarah Cannon, the Cancer Institute of HCA Healthcare, to educate communities on the many ways that everyone can take action to prevent, fight and survive cancer today. 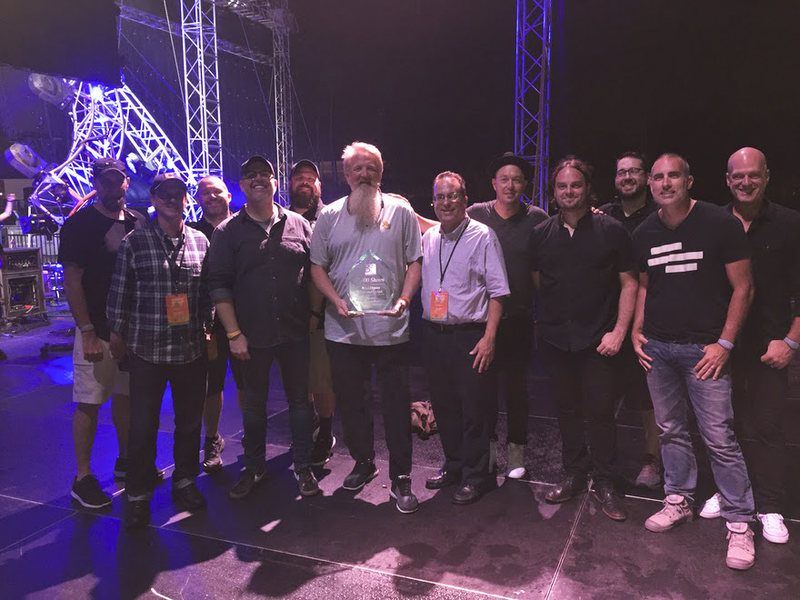 Pictured (L-R): SESAC’s Shannan Hatch, Jamey Johnson, Rob Hatch and Chris Hennessee. 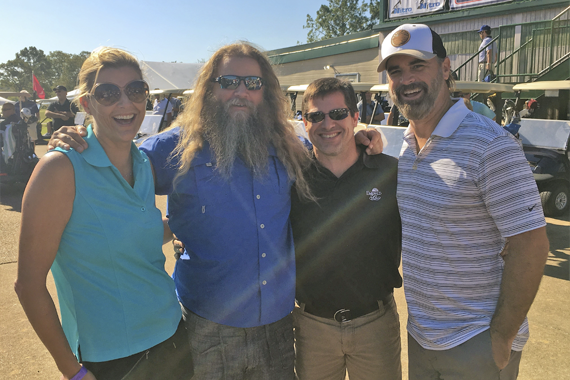 Jamey Johnson and Friends hosted its sixth annual golf tournament and concert on Oct. 1 to benefit the Nikki Mitchell Foundation and pancreatic cancer patients. Organized by Rhonda Miles of the Nikki Mitchell Foundation, the benefit was held at Cottonwood Golf Course in Montgomery, Alabama and raised more than $200,000. Congratulations to all the fans, friends and artists for their support in making this such a successful event. Pictured (L-R): Anna Weisband, Alicia Pruitt, Francis O’Connor, Amy Wadge, Jordan Reynolds, Frankie Pine, Emily Weisband, Katie Jelen, Carlton Anderson, and Matt Michiels. 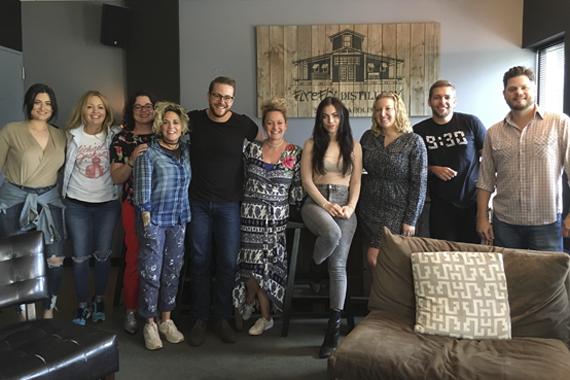 Whirly Girl Music’s Frankie Pine stopped by the Warner/Chappell Nashville offices to talk all things Nashville and to hear new music. 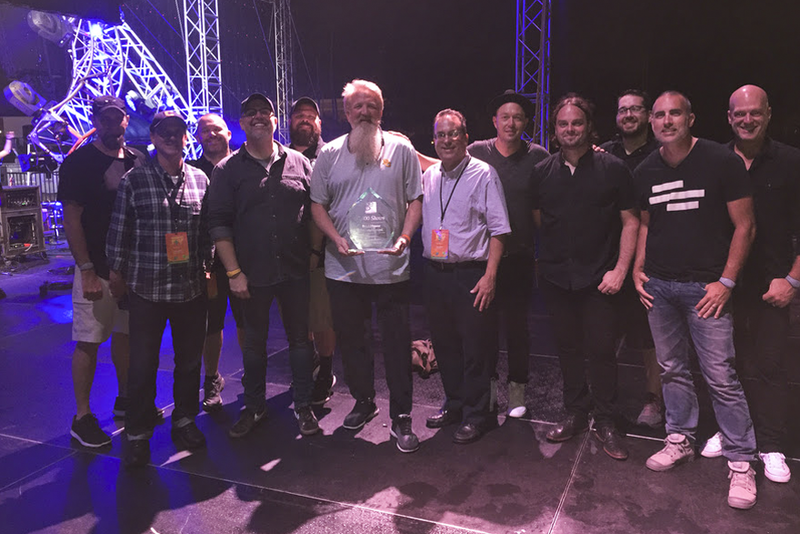 Millard presented Brickell with a commemorative plaque acknowledging the achievement at Disney’s Night of Joy on Sept. 8.